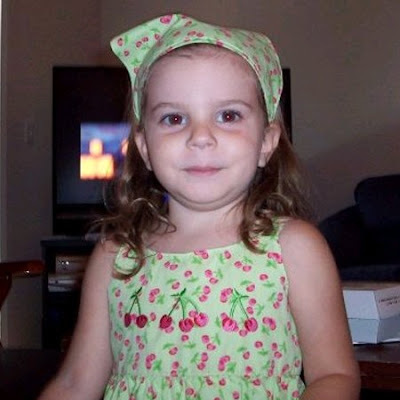 The victim in this case is Caylee Marie Anthony. ORLANDO, Fla. -- Casey Anthony's parents are asking a judge to excuse them from a rule that could keep them out of the courtroom during their daughter's first-degree murder trial. Prosecutors have the right to ask that witnesses for the defense are not in the courtroom during other people's testimony, and as witnesses for the defense, this could apply to George and Cindy Anthony. As victims, however, the Florida constitution provides the Anthonys the right to attend the trial. I think every state allows the victims to attend the trial..but their are factors that can and do change that..one being if the victim is also a witness for the State in a murder trial. When my cousin was murdered her daughter certainly was a victim as was her son. However, sinmce my cousin's daughter was a witness for the state against the murderer she was sequestered until she was called as a witness. I can't see this as being any different really. Bozo: "They're trying to put a square peg into a circle hole," Baez said during that April 8 Frye hearing. "They're asking this court to go into a territory where no other judge has gone before." The only square peg trying to fit into a "circle hole" is you Bozo, way out of your element. Yep Baez and Foghorn Mason are the two square pegs alright..never seen anything like them before and hope I don't see anything like them again for a long time. The defendant did not present any factual evidence in support of the motion to have the stain thrown out. Therefore, the judge denied it. Jose Baez did argue in court during hearings earlier this month that the stain was from garbage found in the trunk of the car. He also argued that the deposition of one of the Oak Ridge scientists revealed the compounds that made up that stain weren't exclusive to a decomposing body. "They're trying to put a square peg into a circle hole," Baez said during that April 8 Frye hearing. "They're asking this court to go into a territory where no other judge has gone before." Casey's lawyers filed a similar motion in late March after the judge denied surpressing statements of law enforcement oficials, and Casey's parents. Perry denied that motion. The decision about the stain was one of nine scientific issues being considered by the judge right now. Judge Perry had said he would have a decision on all of them by last Thursday, but evidently he needed more time to consider the facts presented in court. Those orders could literally come at any moment. unbelievable ! yeah baez argued in court but nothing but ramblings nonsense rants over and over!! Sorry I got in your quote. Gypsy haha and many lol's I hope to never see or hear of them again!! well maybe I would love to hear that baez got disbarred after trial!! didnt the judge rule on the anthonys already ? Yes he did..one of the articles said as much. They seem to have more money then sense to spend their lawyers time like this with frivilous motions. I am realy begining to agree with someone here that posted! the judge may be holding out until close to jury selection! because maybe he thinks the defense will try to delay by filing a bunch of motions to refute what the judge has not yet ruled on and decisions already let in! as they have done! in the past!! I wonder because the defense shows their inmaturity! the state takes it as it is given. I say keep asking this ridiculous stuff bozo and make JBP so mad at you!!!! Page created in 4.138 seconds with 19 queries.